The 23andMe Your DNA Family report tells you about the diverse group of 23andMe customers who have DNA in common with you. You and each of your DNA Relatives share identical segments of DNA that were passed down to both of you from a shared ancestor. Close relatives share a lot of DNA with you, while distant cousins may share a single small segment. The Your DNA Family report draws from the 23andMe DNA Relatives tool to tell you about how many of these DNA Relatives you have around the world as well as some characteristics these relatives share. You will be able to view this report regardless of whether or not you have opted in to participate in the DNA Relative feature. However, the Your DNA Family report is best used in combination with the 23andMe DNA Relatives feature; after you have viewed your report, you can connect with your genetic relatives in the DNA Relatives feature. The DNA Relatives feature is an optional, interactive feature that allows you to find and connect with genetic relatives. Learn more. The number of DNA Relatives you have and where these relatives call home. If your DNA Relatives share aspects of your Ancestry Composition or have different genetic ancestries than you do. More about your diverse group of DNA Relatives. Go to the Your DNA Family report. Do I need to opt in to the DNA Relatives feature in order to see the Your DNA Family report? No. While the Your DNA Family report is best used in combination with the 23andMe DNA Relatives feature, you do not need to opt in to the DNA Relatives feature in order to see the Your DNA Family report. Why isn’t my relative included in my report? Only individuals who have chosen to participate in DNA Relatives are included as DNA Relatives in the Your DNA Family report. Additionally, to preserve the privacy of our customers, we've only highlighted regions and ancestries with five or more DNA Relatives; numbers are rounded to the nearest multiple of five. How are my DNA Relatives determined? 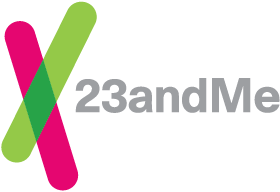 Your DNA Relatives are identified by comparing your DNA with the DNA of other 23andMe members who are participating in the DNA Relatives feature. When two people are found to have an identical DNA segment, they very likely share a recent common ancestor. DNA Relatives uses the length and number of these identical segments to predict the relationship between genetic relatives. Generally long stretches of identical DNA indicate a recent common ancestor and therefore a close relationship. How are the locations of my DNA Relatives determined? The Your DNA Family report uses the self-reported location your DNA Relative listed in the “Current residence” section of his or her profile. How is the number of DNA Relatives with a certain ancestry identified? The Your DNA Family report uses the Ancestry Composition report to identify the number of DNA Relatives who have at least 1% of a certain ancestry. The number of your DNA Relatives with each ancestry has been rounded to the nearest five people to protect the privacy of individuals. To print your report use the print icon in the upper right corner of the report, then select print from your browser’s menu or features options.